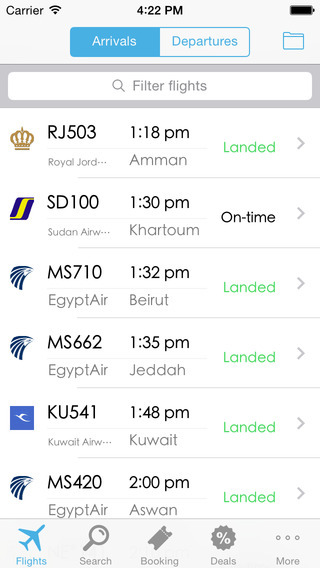 Flight Tracker and Flight Status for Egypt's Cairo International airport. 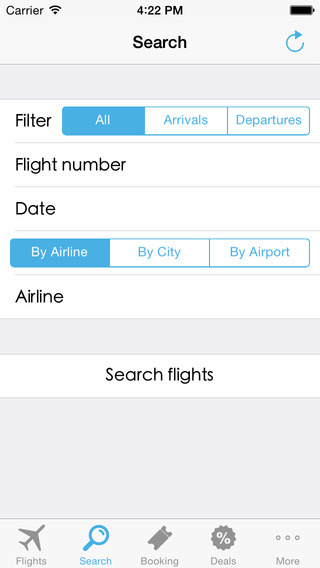 Book Flight Tickets DIRECTLY from the application, search for the cheapest flights and Book online instantly. 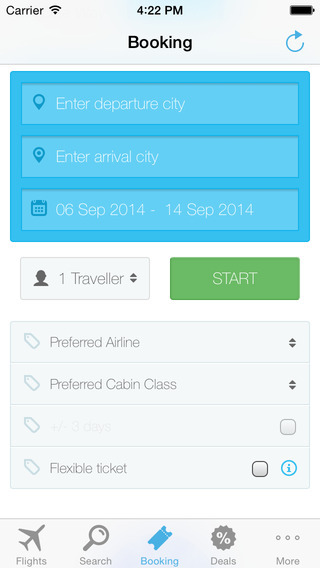 Make Transportation reservations DIRECTLY from the application. This application allows you to track the status of any flight From or To CAI airport and provides lots of information about the flights. 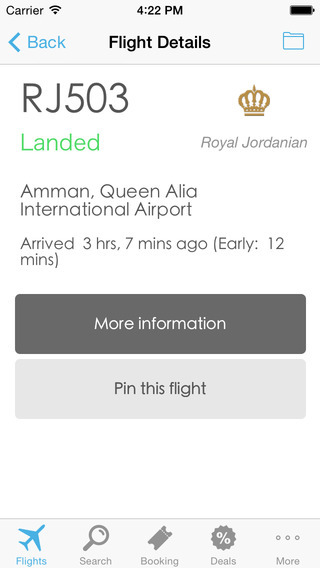 You can search Flights by Flight Number and get results from Arrivals / Departures flights. 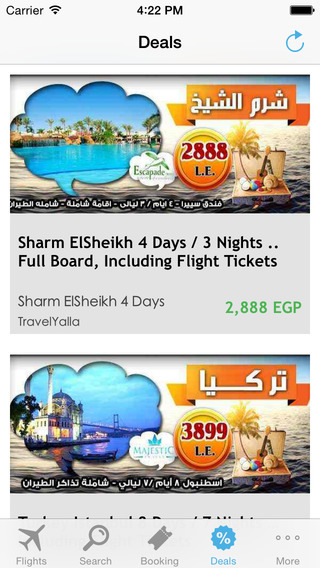 Enjoy Domestic / International Travel Deals updated daily on the app.